Family Owned and Operated for over 32 Years! Are you looking for a new and used car dealership in the Roseville, MN area that will strive to meet or exceed your expectations? If so, then Roseville CJDR is for you. At our store, we are a no-hassle, knowledgeable team of passionate car fans. When you visit us for auto parts, service and maintenance, or to purchase your next new or used car, truck, or SUV, you can trust that we will treat you like family and help you find the right vehicle for your needs. Are you looking for a brand new 2018 vehicle model from your favorite Chrysler, Jeep, Dodge, and RAM lineup? If so, you might want to stop by and take a look at the 2018 Jeep Cherokee SUV. If you want a truck that gets tough jobs done easy, get behind the wheel of the 2018 RAM 1500 truck. Looking for the ultimate family-friendly vehicle? We have plenty of the award-winning 2018 Chrysler Pacifica’s in stock! No matter which new car you choose, we’re confident that you will be pleased with the style, comfort, and safety that each auto comes with. For those not wanting to buy new, we offer an assortment of used cars for sale near St. Paul, MN. Take a look at the quality lineup up of used cars we have currently on our lot or choose from another popular make and model. Don’t forget that we also have specials ongoing on our vehicles and we can help you with commercial trucks and vans for your large or small business. No matter your need, we have a team of vehicle financing specialists that work with many different lenders in order to get you into your dream car, today. 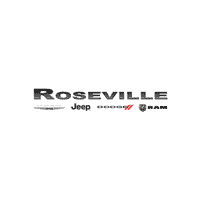 If you have any questions about any of our automobiles or services, contact our Jeep dealership in Roseville or give us a call. We look forward to earning your business and welcoming you to our automotive family. Stop by and see us in person at 2805 Long Lake Rd Hwy 35W & County Rd C in Roseville, MN!